Spaniards Cherries. Slow Pan Close-Up. 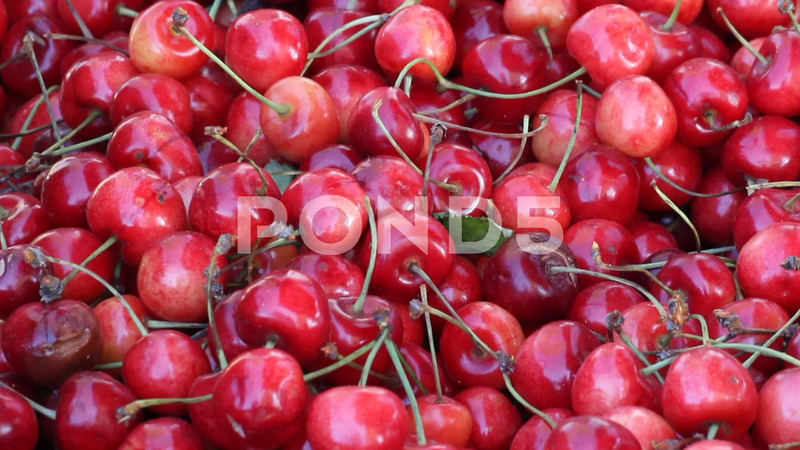 Description: Close-up of cherries in slow pan. Red texture of natural product. Recorded in traditional market outdoor.